On any trip when you travel with a group, adjustments must be made... and certainly on a mission trip! One of Ethan's adjustments was bathing in the sink! 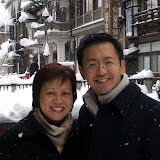 On this trip we stayed in a cheap hotel so things were relatively easy for us. 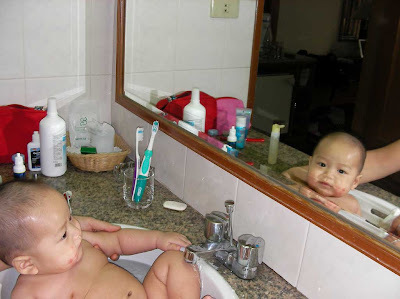 Though things were quite cramped in the sink, Ethan enjoyed playing with the water coming out of the faucet and looking at his handsome self. You can see though that his cuteness was slightly marred by what we think were insect bites he got a few days before we left Singapore. Missed you today, and no one even called to tell us how you were!